This morning after a seemingly never ending work week I spend some enjoyable time finishing my 'A day at the beach' quilt and I am very very happy with it. I absolutely loved working with these fabrics and really enjoyed every stitch of the quilting. 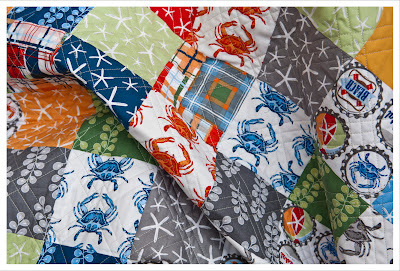 The front is is made of squares from the wonderful 'Going Coastal' fabric collection from 'Crazy Old Ladies' with some added solids. 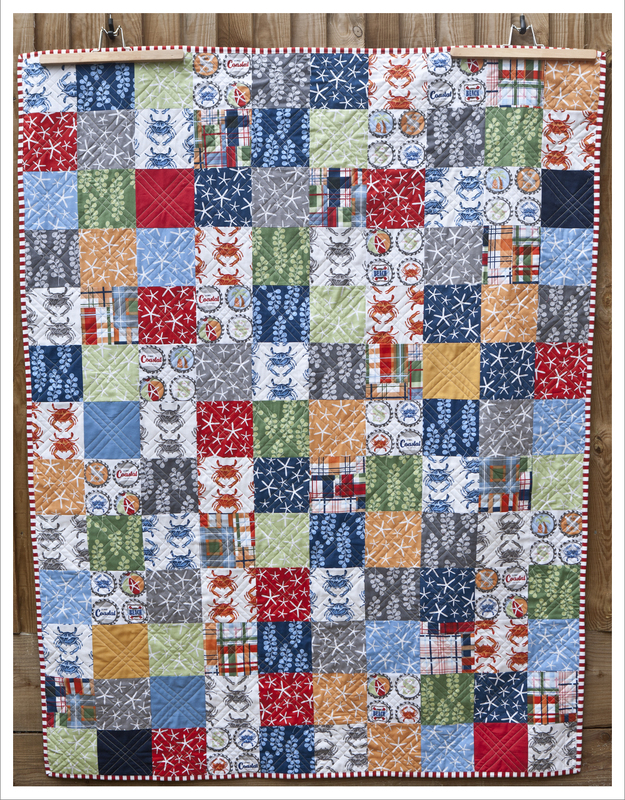 The back of the quilt features also a print of the same collection called 'Patchwork' Plaid. 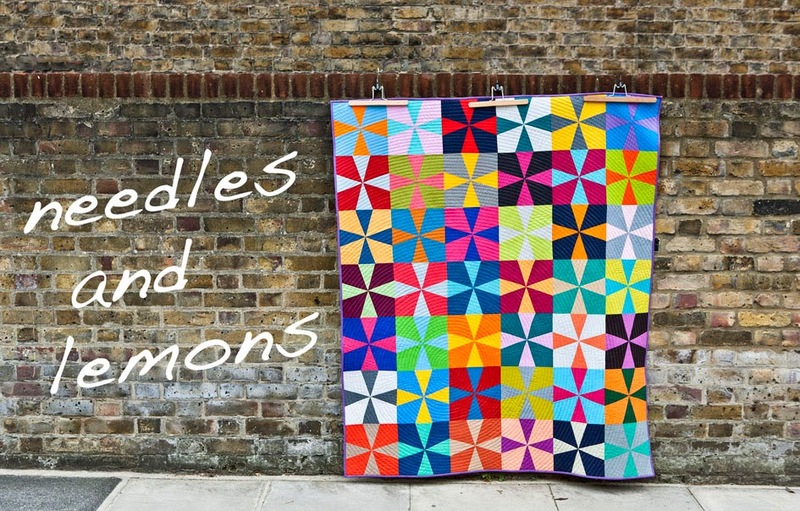 When I saw this print the first time I knew I wanted this one for the back of a quilt. I added a few blocks of solids to mirror those used on the front. I felt because the quilt pattern is rather on the simple side that the quilt was in need of heavy quilting. So I quilted it in sets of 3 diagonal lines which did take some time and about five and half bobbin wheels ! 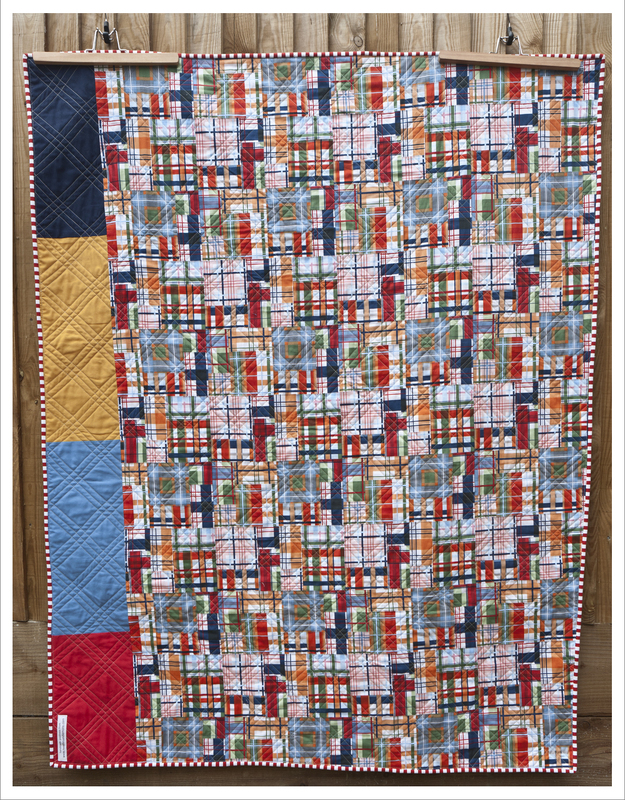 It gives the quilt added structure while still maintaining enough drape. I don't know about you but I kinda think this would make a lovely quilt for a boy. It measures 62 x 47 inches (or 157 x 120 cm). For the binding I chose again a stripy number in white and red which gives the quilt a much needed frame. I quilted in my favorite Gueterman Sulky but not with 1072 but instead with an ever so slightly variegated white green thread (no 4027) which worked fantastic here as it is soft enough for the back and bright enough for the front. 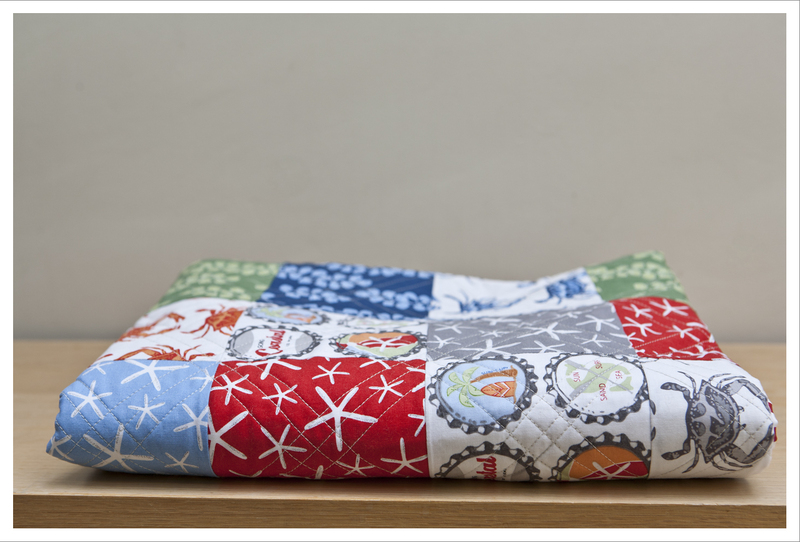 I have listed this quilt in my Etsy shop ! Lovely weekend every body ! Great quilt - I'm sure it'll fly out of the shop! Fabulous - love the stripy binding it really sets of the fabrics. 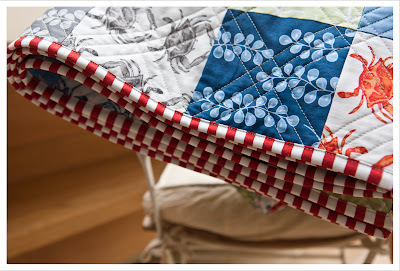 The quilting is just right! 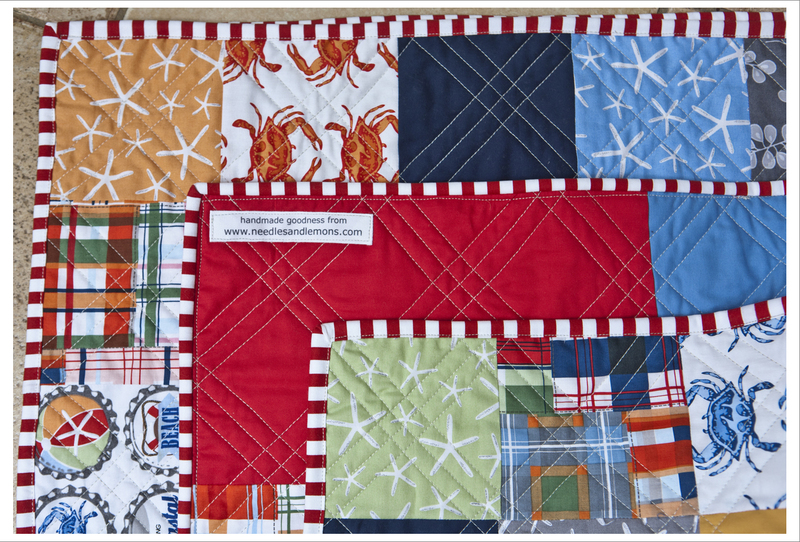 This turned out really nicely - great beach picnic quilt!